Do You Want To Write Quotations on Your Pictures ? You Want to Make Your Words Into Different Styles? 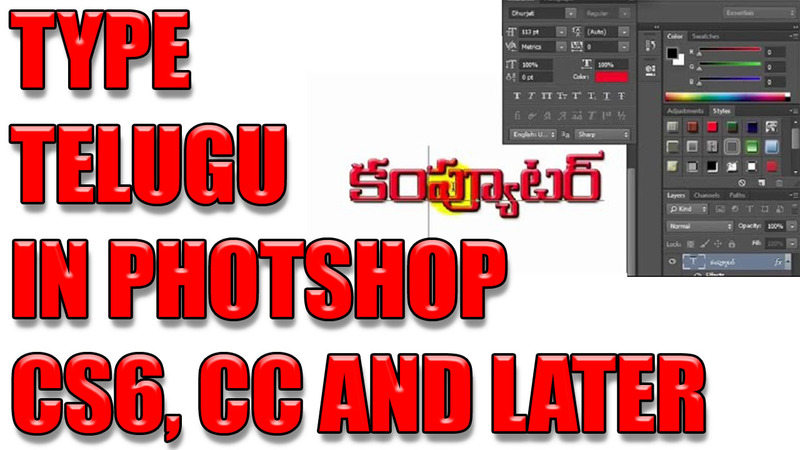 But Photoshop cs6 or later version are Not Possible To Write Text Into Telugu Words. It's Possible to write into Telugu by Using and Following Many Steps. For Example By Using ANUSCRIPT Manager They Have Different Styles Of Fonts. But You Must Be Need To Know The Layouts Of The Keyboard (APPLE, ROMA, MADULAR, INDICA, PHONETIC) But It's Not Easy. And It Is Possible For typing telugu in Only PHOTOSHOP7.0 & 8.0. Google Input Tools Are Used To Write But They Are Separate The Letter, Question Marks, Boxes..
Photoshop They Having Some Latest Versions Also Like Adobe Photoshop Cs6 (13.0) , Photoshop CC (14.0) Some Properties Are Changed Then You Can Used Google Input Tools Telugu Text Is Possible For Us.